The Intermet of Thing's ability to improve care outcomes and influence patient engagement largely depends on how this information is shared. When it comes to healthcare, technology is clearly changing the game -- the Internet of Things being no exception. IoT provides the ability of various devices in a person's life to be interconnected and, when aligned with unified communications strategies, enables a new level of communication between people and things around the world. 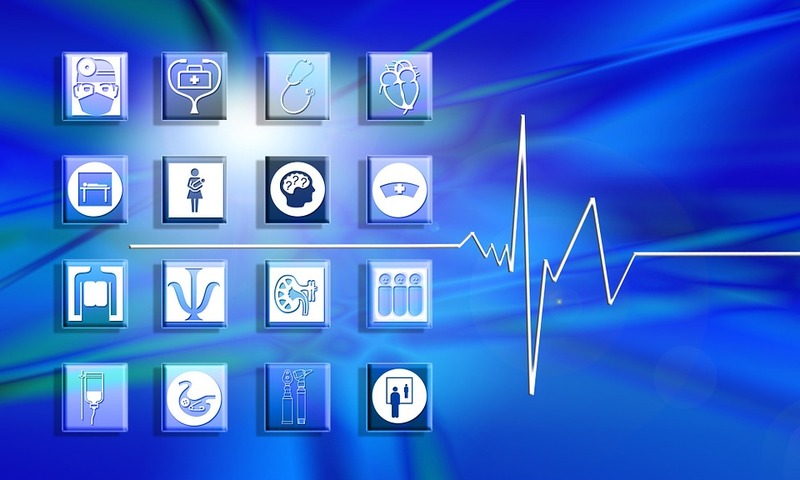 For healthcare in particular, IoT is directly linked to the emergence of telehealth and can be seen in anything from connected stethoscopes to wearable fitness trackers to virtual doctor visits. And as consumers of this connected world, patients are increasingly expecting the delivery of healthcare services when and where it is most convenient for them -- and this means support for a variety of mobile devices and availability of secure network connections. With IoT, the immediate access to information and services is becoming a reality. However, IoT's ability to improve care outcomes and influence patient engagement is largely dependent on how this information is shared. For example, the patient information contained in electronic health records and gathered by connected devices won't do much good for care outcomes if it isn't being communicated clearly to the patients or shared with relevant physicians in a way that's quickly and easily digestible. Secure patient portals with multimedia options offer one way to use unified communications to better leverage the benefits of healthcare IoT. Patient portals enable the patient to engage with their medical information as it becomes easier to access through familiar channels of communication. While mobility and network connectivity are often discussed hand in hand with IoT, unified communications isn't always seen as a third, natural complement to its deployment -- but it can make a difference in the future of healthcare. After all, as noted in a 2015 study by Mind Commerce, which focuses on digital technology and telecom research, the IoT market in healthcare is projected to reach $117 billion by 2020. With that much investment, providers must be thinking about how to best capitalize on the new levels of data and information that come along with IoT implementation. One of the most prominent ways IoT is shaping healthcare is through the vast amount of data generated and made available to healthcare organizations. The ability to analyze all the data and use it to improve care programs and coordination for patients between facilities or physicians is certainly the goal -- and unified communications is poised to be a great channel for those information touchpoints. Additionally, the ability to monitor patients outside of hospitals and other healthcare facilities has increased as IoT use in healthcare matures. According to the Centers for Disease Control, healthcare providers are diagnosing and beginning treatments for preventable, chronic health conditions more quickly than ever before, in large part due to the use of IoT technology. Smart medical devices such as glucose monitors, electronic pacemakers, and smart medication dispensers are just a few examples of the numerous devices that now upload data to the cloud -- making accessibility to that information simpler for providers who can use it to make real-time decisions and reach out to patients immediately with concerns. At its core, unified communications is a set of collaboration tools that communicate over a shared network to make real-time information sharing across multiple devices and media types between people easier. When it comes to the vast amount of data being produced by IoT devices, how that data is carried and in what ways the information is being relayed matters. The ability for providers to receive or share the diagnostics from their connected stethoscopes and home health monitoring devices in ways that meet the expectations of their patients will be key to ensuring they are able to tap the full scope of telehealth possibilities. When hospital staff are able to communicate efficiently using the right tools, coordination between providers, units, and hospitals also improves. The smooth transition of patients from one hospital or care facility to another is a particularly great benefit of coupling IoT-enabled healthcare solutions with unified communications technology. For instance, many clinics have begun utilizing video visits to quickly establish communication between transferring providers onsite, allowing them to collaborate on the move. Connected voice recorders are also gaining popularity among providers, which helps them bypass the challenges related to sifting through unclear, or poorly written, information. In turn, patients receive more accurate care as their information is handed off from one source to another. Many clinics and hospitals are also improving the quality of communication between patients and providers through online portals, giving patients the ability to remain in contact with their providers through video conferencing or chat on any mobile device. Because of this increased communication, patients are empowered to be more engaged in their healthcare -- and ultimately receive the knowledge they need to stay healthy. When communication is key to the success of a fast-paced industry, unifying communications through a multitude of devices is essential. As organizations continue to navigate the innovation, deployment, engagement, and regulatory factors involved with healthcare technology, the relationship between IoT and unified communications is bound to evolve. As it stands today, unified communications is well-positioned to support the IoT connectivity driving healthcare's future.